When Paulene Christie started a Facebook group to share her slow cooker recipes, she had no idea that within eighteen months she would have an active community of more than 270,000 members. 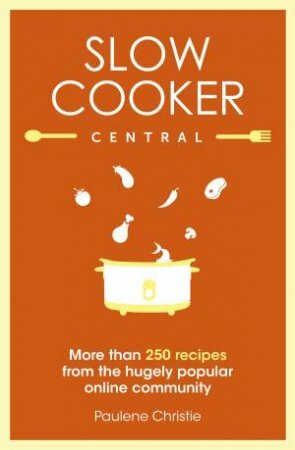 Slow Cooker Central is a fantastic collection of dishes that have been created and shared by Paulene and this passionate network of slow cooker devotees - proving just how deliciously easy and versatile this style of cooking can be. With just a few simple ingredients in the slow cooker, you can make a huge variety of meals for the whole family, as well as soups and sides, desserts, cakes, sweets and preserves - almost anything you want to eat can be cooked in a slow cooker. Tried and tested, these recipes not only taste great, they will also save you time and money. No wonder there are slow cookers on kitchen benches all around the world!